20 Healthy Food Swaps for Weight Loss - Cut 500 Calories a Day! Cut 500 Calories a Day and Lose Weight with these Healthy Food Swaps! 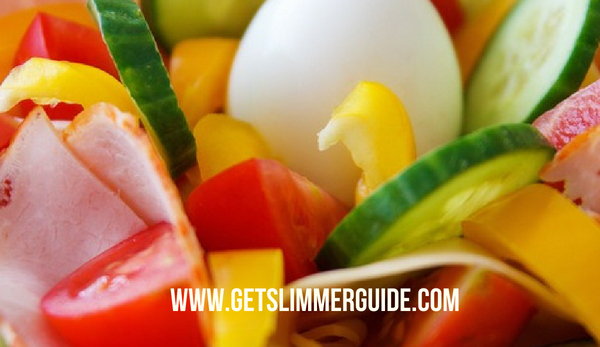 Trying to get healthy and lose weight can be daunting. However, you can easily cut 500 calories a day and lose weight by swapping unhealthy foods with their healthier alternatives. Truth is, if you really want to lose weight and keep it off, then you need to change your eating habits. The most effective way to lose weight is to cut your calorie intake by at least 500 a day. That will produce a one pound a week loss, which is considered healthy. This cannot be a short lived endeavor though as returning to your old caloric intake will just pack the poundage (and its friends) back on. Therefore, you have to determine a means in which to cut the calories and then keep them out. And the best way to do that is by replacing high calorie foods with lower calorie versions. Read on to discover some amazing healthy food swaps to help you cut calories and lose weight! Keep in mind, of course, that you have to be changing your eating habits, not just going on a diet (which suggests you will get off). You want a new you? Then you’ve got to become a new you with your eating choices. Read on to discover some great ways to make that change! This is the most obvious answer to healthy food swapping. Basically, you just buy a low-fat, low-sugar, version of the foods you would normally eat. You will indeed cut calories, which is, of course, the goal, but there are other things to consider when embracing this methodology. Here’s the main issue, when you think about eating something that’s low fat, do some research on how that fat has been reduced. If there are a lot more chemicals in the low fat version, you might want to reconsider. The same goes for low-sugar foods, investigate what the sugar has been replaced with. Sometimes, pure sugar is a better choice than some of the other carcinogenic options. Really it’s a matter of the lesser of two evils. This section is designed to give you a few specific swap suggestions. There are things we eat daily that should be swapped out for healthier options. Keeping track of those calories is much easier when you are preparing your own food. It’s kind of hard to know what exactly is in that Happy Meal (but we can assure you, you wouldn’t be happy if you knew). Therefore, it is imperative that you learn to measure, and prepare, your own food if you’re really going to count the calories. If you will think through each day’s menu, then you will have a clearer understanding on how to grocery shop. Consider putting back the bacon (though we know how much you love it) and substituting it with Canadian bacon or a leaner ham version. You could always cut out some calories by making scrambled egg whites with your Canadian bacon, rather than using the whole fatty egg. Salads are frequently touted in the weight loss, eat healthy realm, but chances are, if we were to eat salads the way we want them, they’d be slam full of calories (cheese, meat, dressing and croutons add up). So, if you choose to eat salads, pile on the veggies and choose a vinaigrette instead. Better yet, eat a sandwich on whole wheat flatbread and cut over 100 calories. Dinner is probably the easiest time to walk off the calorie counting road. However, if you’ll consider trading your steak for a pork chop, you’ll notice the difference (eventually). And by the way, a cup of tofu shirataki noodles is 160 calories less than a cup of regular ole pasta! 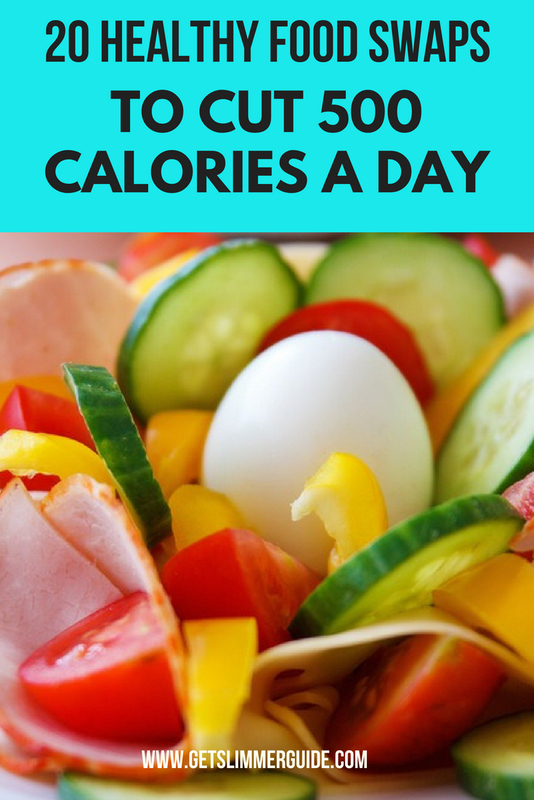 Remember, you’re trying to cut calories via swapping; these things will add up each day! We started thinking about how better to present this information to you and it dawned on us that maybe a couple of good, easy, recipes would be useful to you. There are times in life when cooking just doesn’t seem fun and that’s usually when we have to cut our calories. However, if we can make a lower caloric food taste good, then it’s well worth it. Therefore, we’re providing you with a couple of recipes that we personally know to be delicious! Directions: Boil cauliflower until very tender (you’re going to mash it, make it easy on yourself), mash it, add all the other ingredients until it’s the consistency you want it. Enjoy! Directions: Scramble egg whites in a bowl. Add the unsweetened almond milk. Mix and then add pepper to your preferences. Pour mixture into a skillet. When the eggs start to solidify, add Feta. Cook as usual. While we’d love to keep the recipe list going, time and space won’t allow. However, there are an insane amount of low calorie recipes available online for your perusal. Seek out the ones that sound the best to you and then prepare them. If they’re worth sharing, put them in our comments section so that others can enjoy your successes with you. Looking forward to reading your comments!